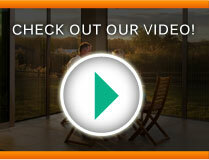 Insect screens are movable, they hide away when not in use so they don't disturb your view. They are gently maneuvered into any position along the floor guide without the need for a brake. They are not spring loaded so require no mechanical internal moving parts. Screens are pleated polyester insect mesh that is more durable than fibre glass mesh, but with the same transparency as traditional mesh. Can be fitted to almost any type of door or window and are especially suited to large sized openings. 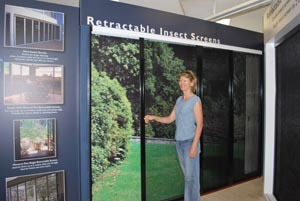 We have a large range of insect screens to suit most doors, windows and budgets. Our range consists of 8 different models. We are a trusted and established Perth owned company (estab 2008), and part of a national group. 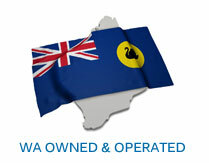 We formerly traded as National Screens, WA. Our new fly screens not only look good, they have achieved exactly what was promised. We have installed them on our balcony and can enjoy the view without having to peer through flyscreens when our screens are retracted. When our doors are open we use the fly screens to protect us from mozzies. Retractable Screen Company did a wonderful job. We would just like to add an update to this post. Our screens have now been installed for over 8 years. They are used daily and are still fabulous. John, Joondanna, WA. We are just sitting back enjoying our amazing new screens on our french doors looking out over our gorgeous bush in Mundaring. We are so pleased with both the finished product and the professionalism of Retractable Screen Company. Thank you David.